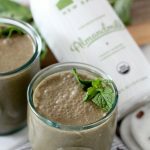 No-Sugar-Added Chocolate Mint Superfood Smoothie from the Whole Smiths made using New Barn Organic Almondmilk. 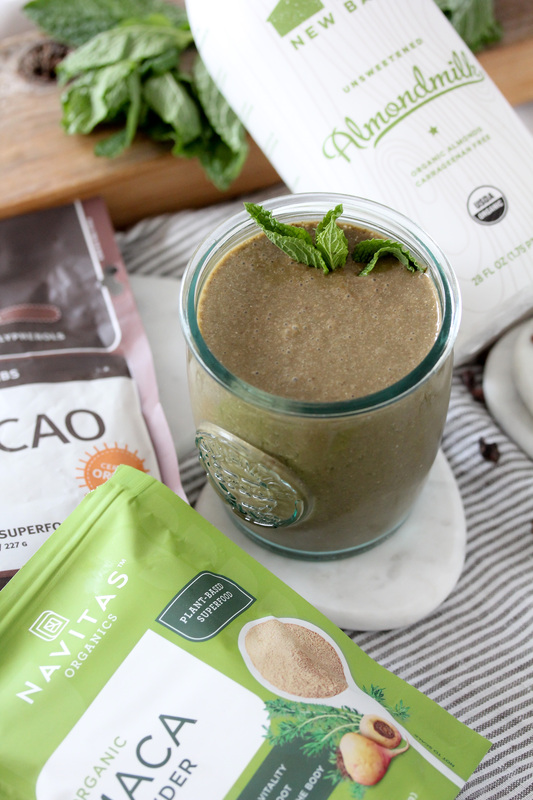 A refreshing, superfood packed smoothie recipe that’s the perfect afternoon pick-me-up. 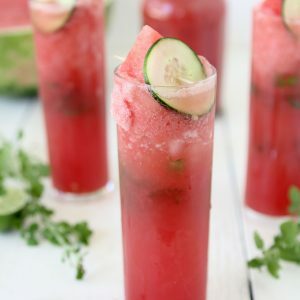 I don’t know about you, but these hot summer days have led me to drink any possible cool and refreshing beverage around. Ok, well not any possible cold thing around. I’ve come along way from my days of Frappuccinos and Diet Cokes. While I still love tasty beverages I’ve become a beverage snob along the way. Whew. There, I said it. I’m a drink snob. But I promise I’m a really nice, not pretentious, down to Earth kinda gal still. I just don’t like overly sweetened and artificially tasting drinks anymore. Like a Sunkist orange soda might do me in. With that being said, I’m loving all the new types of cleaner beverages hitting the market these days. Kombuchas, cold brews, coffers etc. So many have extra goodies like ashwaganda, turmeric, maca and more added to it and I’m in drink snob heaven. 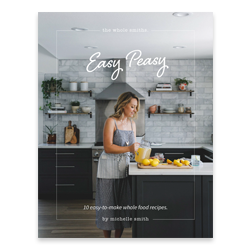 Speaking of drink snob heaven, I’m heading to Expo East next week with Kristen from Living, Loving Paleo and there are foofy, health conscious beverages all over the place there. 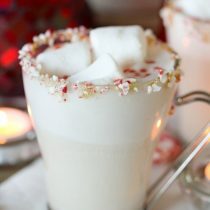 I mean, rooms and rooms filled with unnecessary foofy drinks that are so extra. I’ll keep you posted via my Instagram on my new favorite finds. 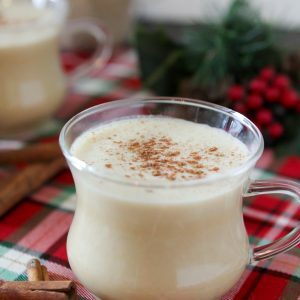 Speaking of beverage companies that ARE necessary and a staple around our home that will also be at Expo east, New Barn will be there with their Organic Almondmilk and Almondcreme as well! 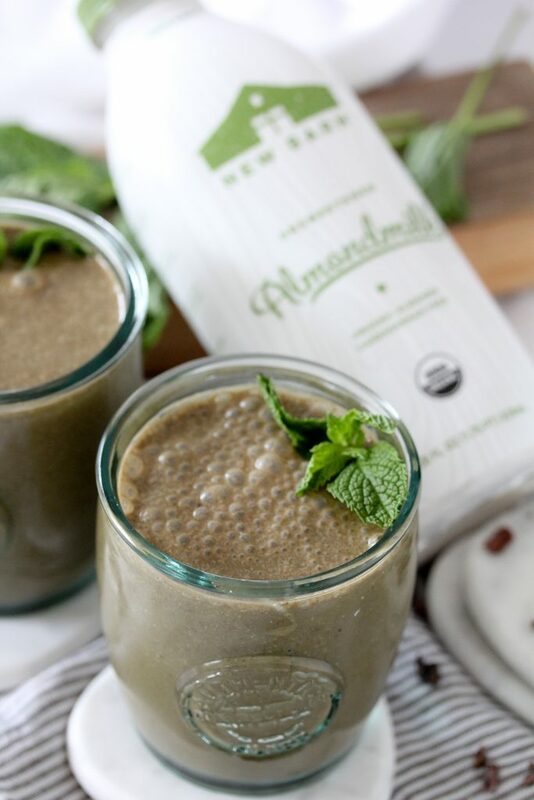 Not only do I use New Barn Organic Almondmilk in things like my Whole30 Compliant Shrimp Salad + Chipotle Dressing but I love using it as a base to make my own foofy drinks and smoothies at home. And this Chocolate Mint Superfood Smoothie is the perfect example of that. 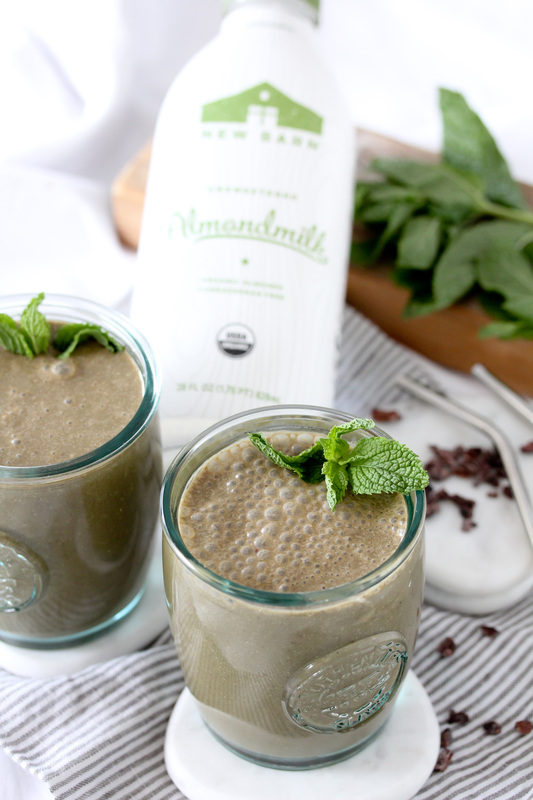 I used New Barn’s Unsweetened Almond milk to create this healthy, no sugar added, refreshing treat at home. Instead of adding any sweetness like coconut sugar, maple syrup or even honey, I just used the natural sweetness of the bananas and a couple of dates to sweeten things up… a tad. Because I like tasting the different flavors and not just getting a blast of sugar. 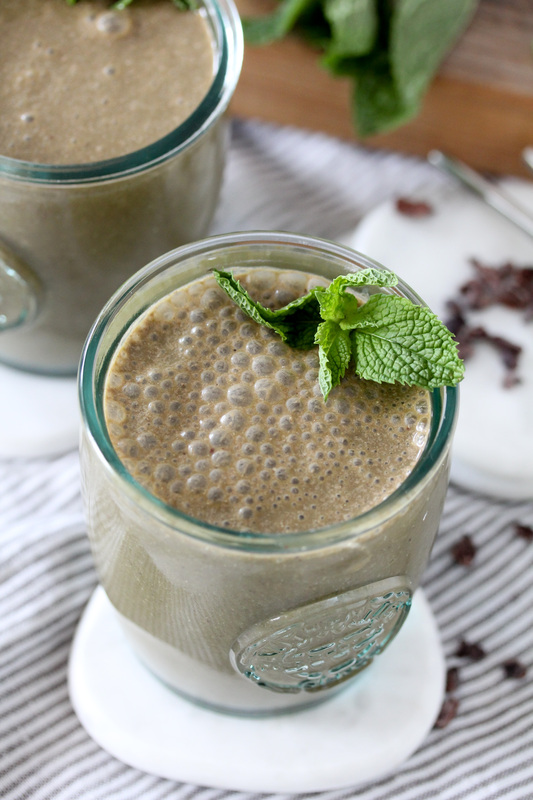 As the title suggests, I wanted to add some extra nutrients into it so I used things like cacao nibs and maca. I love using Navitas products and can always find them at my local Whole Foods, Costco or online. Cacao nibs are, in short, chocolate in it’s purest form, essentially died and fermented bits of cacao beans. They’re loaded with nutrients like magnesium, antioxidants, iron and fiber. Maca is a root that dried and ground. It has a lightly sweet taste and for some reason smells like cake batter to me. It’s a known adaptogen, which means it’s part of a class of healing plants that aids in normalizing your physiological functions. So things like balancing your hormones, adrenals etc. It’s also known to increase energy, boost your immune systems and so forth. So yum! All good things and things that totally are part of my foofy drink profile. Clean, delicious and good for you, the criteria is met. 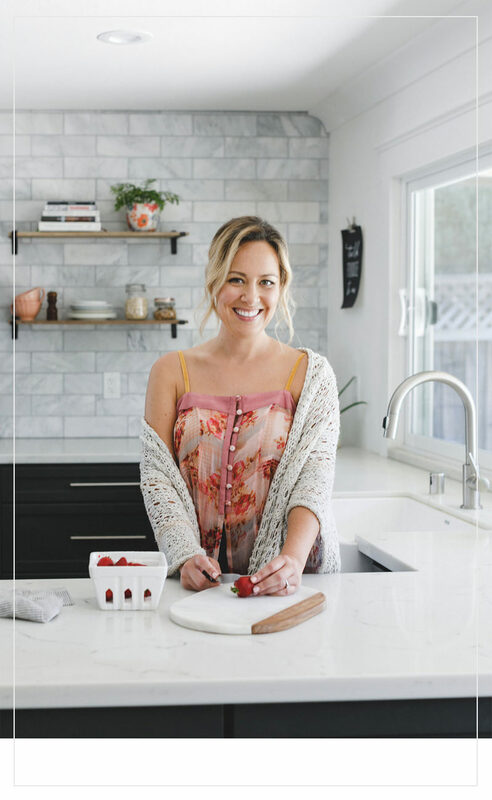 So whether you’re making this to bring on the road with you for your morning commute or jonesing (sorry, my vocabulary bounces between that of a 12-year old boy and a 75-year old woman) for an afternoon treat, this will leave you feeling great! No-Sugar-Added Chocolate Mint Superfood Smoothie from the Whole Smiths. 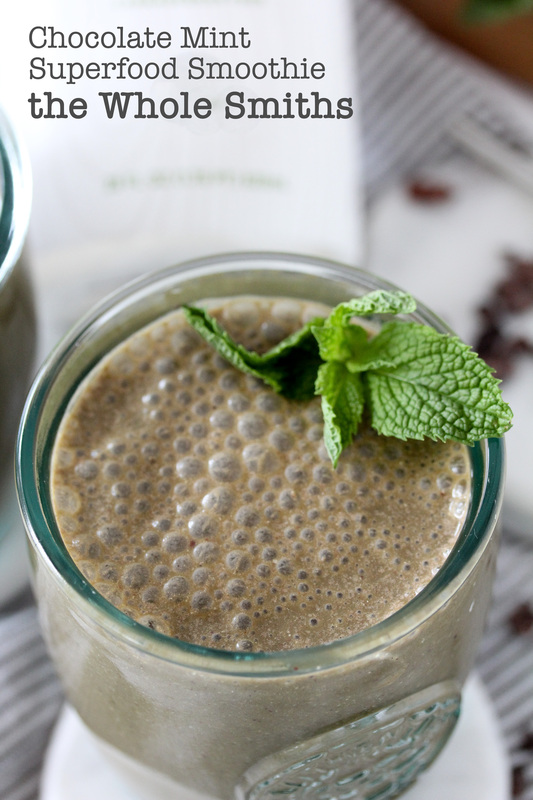 A refreshing, superfood packed smoothie recipe that's the perfect afternoon pick-me-up. It's SO tasty and refreshing. 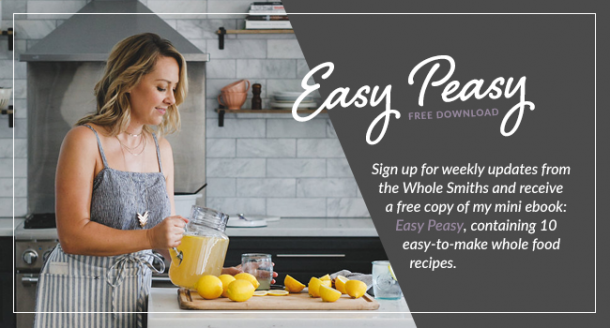 Paleo, vegan and vegetarian. Add all of the ingredients to a blender except for the ice. Blend on higher 15-20 seconds until the ingredients are smooth. Add the ice and pulse until combined.